For 30 years now Reprotec has always put the customer first. Our commitment extends throughout the company starting at the coal face with professional training to all our site staff to a minimum standard of NVQ 2 in surface preparation and resin application. Training is completed by our own resin association “FeRFA” to the highest standard and Reprotec’s commitment was recognised by the resin association by being awarded “Trainer of the Year” Reprotec’s commitment also extends to our own staff via our membership to “Investors in People” to which Reprotec have been accredited to since 2006. 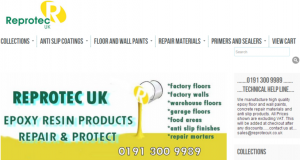 Over the past 30 years Reprotec have extended our service to customers by offering a full Turnkey Service in resin flooring of all kinds, specialist protective coatings, decorating, liquid roofing systems, hygienic wall systems, carpet and vinyl flooring. Customers demand professional and accredited companies to complete work on their site and Reprotec raised their profile to meet this demand. 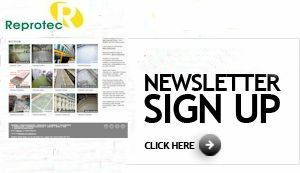 Reprotec are an active member of the resin flooring association “FeRFA”, and accredited and monitored with Construction Line, CHAS (Contractor health & safety assessment scheme) and a Safe Contractor Approved company. Our commitment to the customer also extends to continuous awareness of the products we apply and our technical knowledge of the health & safety required in their use. This means working closely with the UK and European manufacturers so Reprotec can specify and advise the customer of the correct product for their specific projects. We are pleased to say this contributed to being awarded by FeRFA the top award of “Project of the Year” for the new Northumbrian Police HQ in Wallsend, Newcastle upon Tyne. As part of the growth and expansion of our repair and maintenance product range, Reprotec’s Material Sales has now become RM Suppliers, Repair and Maintenance Suppliers, selling to professionals and public. Looking for something stylishly different? Reprotec UK Ltd won one of four national awards, and two Reprotec employees were celebrated for their industry achievements, at the FeRFA awards 2016 which took place on Friday 11 November at the Belfry Hotel, West Midlands. County Durham-based Reprotec in collaboration with Altro, a premium flooring provider, won the award for Small Industrial Project Of The Year for its work with Peterlee-based Walker Snack Foods. 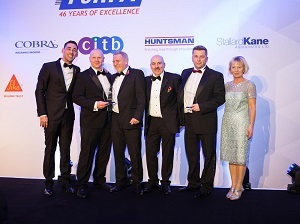 The award, which was sponsored by Huntsman Polyurethanes UK Ltd, identified excellence in resin flooring in an industrial project, which covered less than 500m². The project, saw the company provide Walker Snack Foods with a range of services and expertise from problem identification and site surveying to the installation of Altro Flexi-flow Plus onto vinyl covered mezzanine and Gantry area directly above the production lines. Flexi-flow Plus is a flexible liquid resin floor finish which is a sustainable, anti-slip flooring which spanned 270 sq. metres over three floors. Reprotec has been shortlisted for the small industrial project of the year award at the 2016 awards ceremony for FeRFA, the resin flooring association. County Durham-based Reprotec in collaboration with Altro, a premium flooring provider, has been shortlisted for its work with Peterlee-based Walker Snack Foods. The award, which is sponsored by Huntsman Polyurethanes UK Ltd, looks to identify excellence in resin flooring in industrial projects, which cover less than 500m². 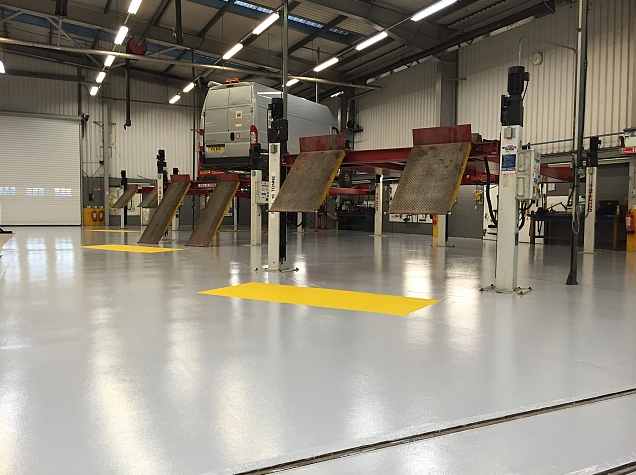 Reprotec provides the perfect solution for a worn out painted floor at Royal Mail workshops. The Royal Mail’s Team Valley maintenance workshops had been painted for many years by the postal staff. Layers of paint had been allowed to build up across the 1000m² area over the years and was now posing more of a hazard than a benefit. The painted floor was dangerous with uneven areas of missing paint causing trip hazards and oil contaminating the surface was making the concrete slippery. 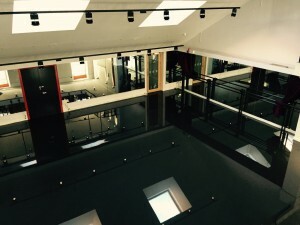 The specification required the removal of the existing coatings and two coats of Tough Epoxy Resin. Granted its Royal licence by King George III, the Theatre Royal Newcastle opened on Drury Lane off Mosley Street in 1788 and soon established itself as one of England’s leading theatres. The Grade I Listed Theatre today is both neo-classical monument and cultural engine, with an annual audience of 350,000 and over 400 performances each year. Theatre Royal Newcastle was presented with the ‘My Theatre Matters! UK’s Most Welcoming Theatre’ award in October 2015. The dance studio had old vinyl sheet flooring that was causing issues with dancing classes. They needed a seamless solution that was able to handle the footfall of a busy dance studio that would also fit in aesthetically with a historic building. 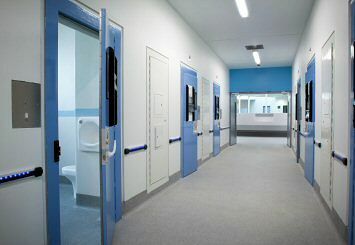 Reprotec UK worked with Altro to find a solution. Altro Flexiflow in Black was specified, as it would provide all the benefits of vinyl and would be a seamless and sustainable flooring. Reprotec UK Limited are proud to announce that they are a finalist in the North East Business Awards – Small Business Award. The Black Tie event is to be held at the Ramside Hotel Golf and Spa in County Durham on the 17th March. We are looking forward to the occasion and updates will follow. 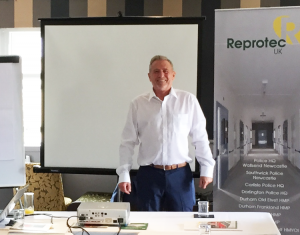 The formation of the Reprotec Group – encompassing Reprotec and Reprotec LLP – has been a pivotal and important development. Growth was also bolstered by new appointments across the business, including the appointment of our Commercial Director, Nick Megson. Malcolm Carr, Site Supervisor, was presented with an award for over 20 years’ service at Reprotec, during the final company meeting of 2015. “I was delighted to present this award to Malcolm. Malcolm came to us as a young Operative and proved himself to be a willing worker. He’s progressed through the ranks and now represents Reprotec on-site at our client Nissan, in Sunderland. Reprotec’s work on a project for Newcastle’s Theatre Royal was highly commended towards the end of 2015 at a prestigious national awards ceremony. Our sustainable liquid vinyl floor solution for the theatre was recognised in the Small Commercial Project of the Year category at the FeRFA Awards Dinner, held on November 27. In addition, Reprotec was a finalist in two other categories at the awards: Trainer of the Year and FeRFA Member of the Year. 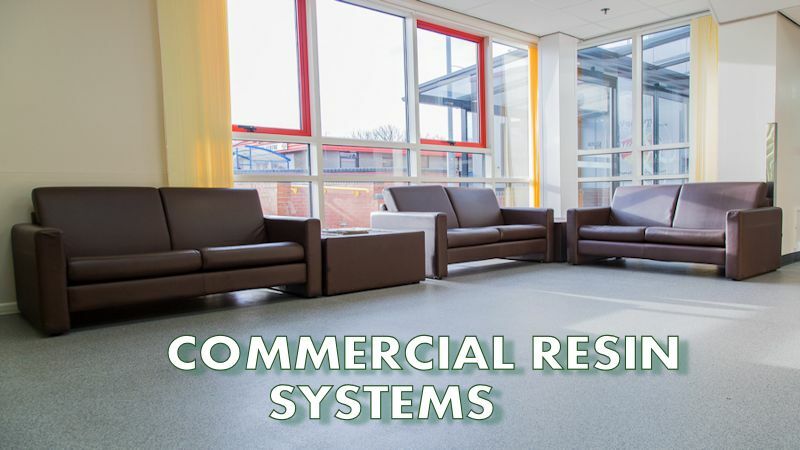 FeRFA, the Resin Flooring Association, represents companies within the UK’s resin flooring industry and its awards recognise innovation in the industry and showcase the versatility and wide range of applications for resin flooring. Reprotec’s commitment to delivering sustainable solutions received global recognition last year, at the International CSR Excellence Awards 2015.
n’s Leicester Square on June 29. Reprotec was the first company from the resin floor industry to divert 100 per cent of its waste from landfill, and our ability to create long-lasting flooring solutions, which can be easily refurbished rather than having to be replaced, also contributed to our winning award entry. Reprotec competed against more than 200 other nominations and was among the winners from the building and construction sector. The North East Automotive Alliance (NEAA) is an industry-led cluster group, established to support the economic sustainable growth of the sector in the North East of England.Automotive Alliance. The NEAA provides a single unified voice to key stakeholder groups and promotes the true value created by the North East Automotive sector. Reprotec were proud to be associated with Miller Construction on the supply and application of all the Resin Flooring in the Gateshead Hospital. 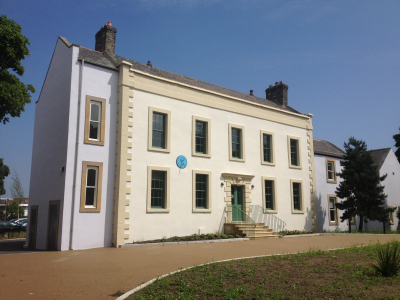 We were delighted to be involved with BAM Construction on the refurbishment of Monkton Hall for South Tyneside Primary Care Trust. Reprotec is delighted to announce it has recently been awarded CHAS and Construction Line pre-qualification status – demonstrating its commitment to sound health and safety practice. CHAS stands for the Contractors Health and Safety Assessment Scheme and is the nationally recognised health and safety pre-qualification system. 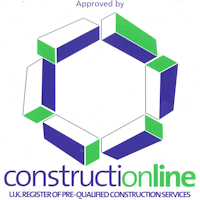 Constructionline is a certified pre-qualification database, used by over 60% of local authorities to reduce duplication and save time and money by encouraging organisations to use a single source for pre-qualification. 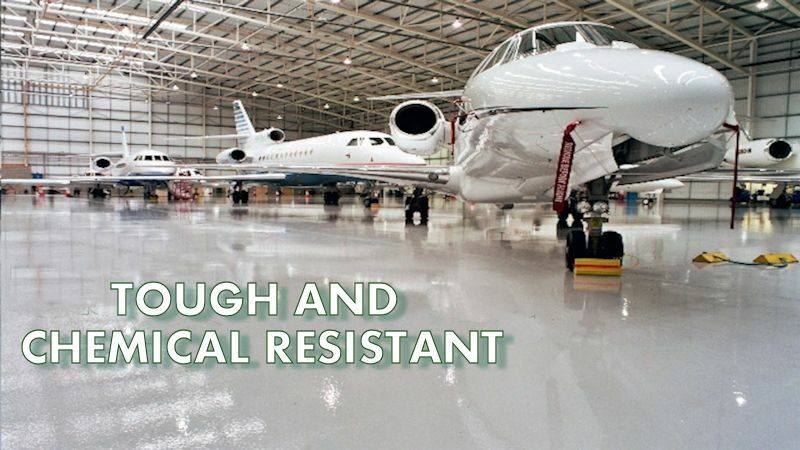 With over twenty years experience as an in situ flooring contractor Reprotec offer a diverse range of surface protection services, operating nationally from the company’s Northeast base. 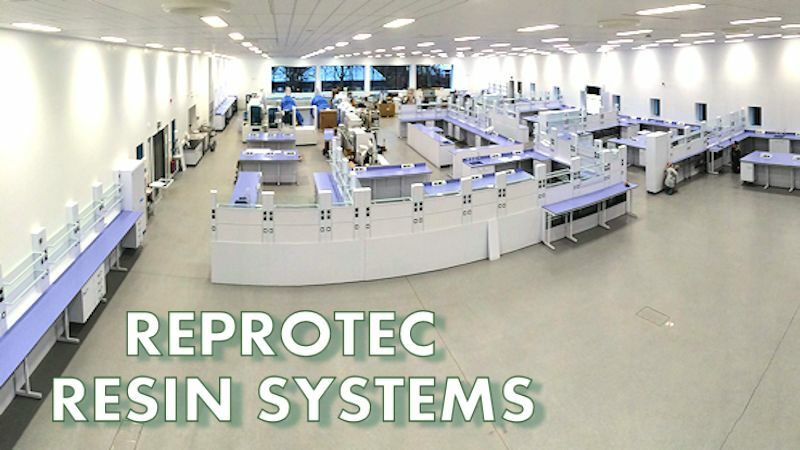 Reprotec is able to pass on to its clients the benefit of its extensive expertise within the resin flooring, screeding and surface protection industry, with work undertaken by its trained and qualified operatives. 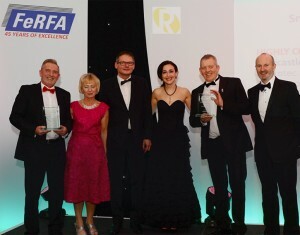 Reprotec UK gained countrywide recognition as National Trainer of the Year at the high profile Resin Flooring Association (FeRFA) Awards last week. The ceremony which was held at an annual dinner in Stratford recognised the Durham based company’s commitment to its staff with regards to training, development and achievement. Reprotec achieved Investors in People in 2006 and aimed to achieve the new NVQ Level 2 for resin flooring in 2007. 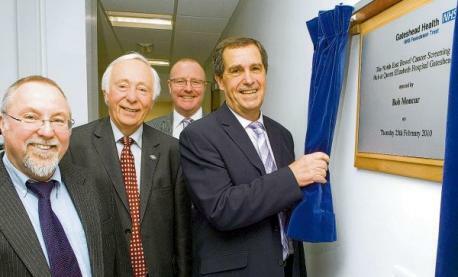 Five staff members were put forward for this and, commendably, all five gained the qualification in June 2007. In a typical show of commitment to its staff the company has also signed up to the new FeRFA Apprenticeship Scheme and promotes individual employee development. Two staff members have achieved CITB Site Safety Management certificates and all resin flooring operatives have achieved H&S passports for working within the Petro Chemical industry. This commitment to staff development and training did not go unnoticed and the judges for the awards ceremony felt that Reprotec’s commitment to staff development made them worthy winners of the award. “It was an honour to receive this award on behalf of all the Team at Reprotec UK Ltd. It’s great to think our efforts are being recognised Nationally especially as a small Business representing not only our Industry but the North East both of which we are very proud’’. 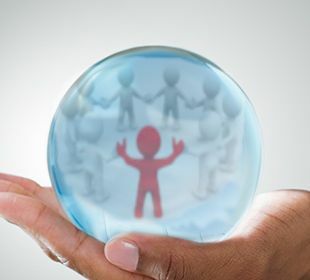 Epoxy resins have been with us a long time now, but in everything we do, we believe in challenging the status quo, to innovate and to continually improve, to strive to not just meet, but to exceed expectations. Reprotec Material Sales are now able to offer these products through the website to Industry Nationwide, so that factory managers, works engineers, facility managers and specialist manufacturers can utilise their own workforce to carry out planned and reactive maintenance. Thus making significant cost savings in these difficult times. We believe in these Products everyday. We trust in these Products everyday. We use these Products everyday. Now you can too. Safe contractor was initially developed as a bespoke project for a property management client who wished to outsource the vetting of contractors on its approved list. Interest shown by other clients identified the potential for a standardised system that could be offered to the whole of the company’s client base. In 1999 Supplyline was born. After further development the product was expanded to provide web based access to its clients and was rebranded as SafeContractor in 2003. It is awarded only to Contractors who can demonstrate the highest levels of Health and Safety systems. Reprotec gained their accreditation in May 2012. 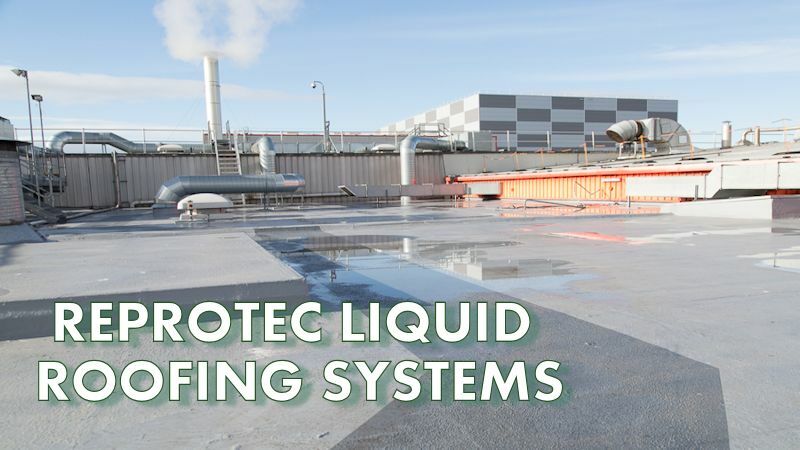 Reprotec UK Ltd and 3M have signed an agreement to accept them as an approved contractor within their national network to install the full range of Liquid Applied Roofing Systems. The network was set up by 3M to ensure that only specialist contractors with the correct skills and experience to be able to meet and maintain the 3M Quality Standards would be accredited. This enables rock solid warranties to be given to the client. “This is a tremendous achievement by Reprotec to have gained this accreditation, as one of only a few companies nationally. This has been achieved by our commitment to continuous improvement, through regular training, quality audits and a committed and dedicated workforce. 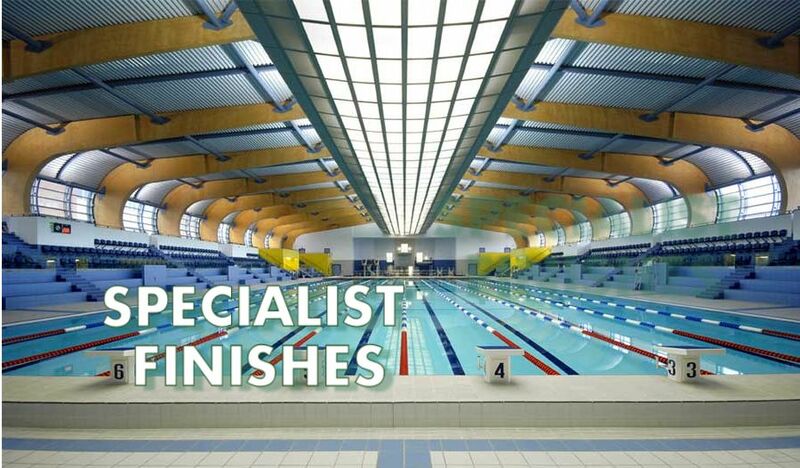 We have completed many successful projects over a number of years. 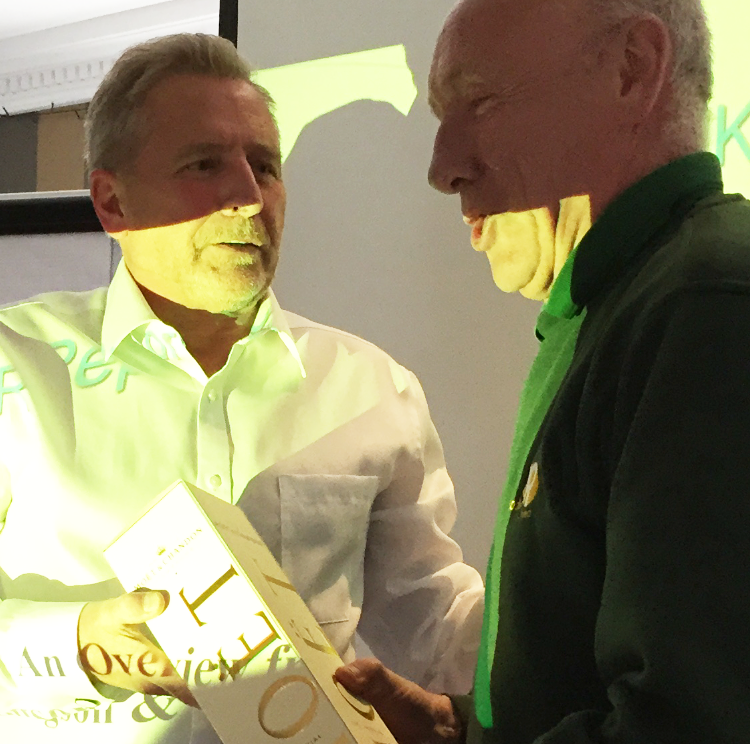 Reprotec UK Ltd received the ultimate recognition from the resin industry when it was awarded Project of the Year presented before a capacity audience at the FeRFA (The Resin Flooring Association) 40th Anniversary Celebration Dinner on 19 November at the Forest of Arden Hotel. The award was presented to contractors Reprotec and manufacturer Altro Floors for the North Tyneside Area Command HQ in Wallsend, Newcastle upon Tyne – a new 23 million pound development incorporating office facilities, custody suite and police headquarters serving the local community. The striking, landmark building was modern and contemporary in design but the construction was of modular build – a unique method of construction for projects of this type. 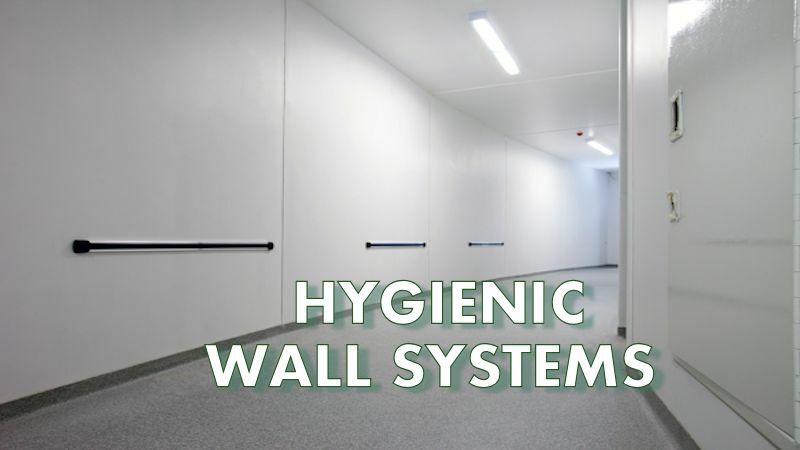 This brought about difficulties with dampness and preparation as well issues with the application and detailing of ceilings, walls and floors and adjoining sections. The FeRFA judges chose this as the winning project because of the way the contractor and manufacturer had worked very closely with the client and main contractor to agree a variety of finishes to fit within budget, programme and difficult working conditions. New application techniques were adopted to apply the resin systems as both flooring and vertical applications. Feedback from client is excellent in terms of quality of service received and the quality of the installation which is easy to clean, very durable and looks decorative. From design stage through to handover, a true partnership of client and specialist contractor working together.